Let the easiest to use calculator reflect your style with complete control over form and function. The friendliest calculator on the planet. You can change anything you enter and get instant results just like a spreadsheet. Getting one number wrong in a series of operations doesn't mean starting over anymore. Customize the look with 10 different keyboard layouts, 19 color schemes and 3 button styles. Scroll through operations to add, edit or delete entries in your calculation with realtime results like a spreadsheet. 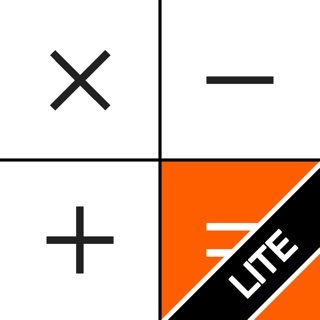 • Rotate the iPhone/iTouch/iPad to instantly swap between 4 different calculators. • Annotate a series of operations to turn your formula into a powerful spreadsheet style form. • Save formulas or operation history in your own math library. • Date Math is automatically detected in normal operations. Add or subtract dates from each other, add or subtract a number from any date. I love this calculator. It looks much better than the default. One version of the calculator keeps a history of your calculations. And you can have different calculators for each of your iPhone/iPad orientations. Very well done. 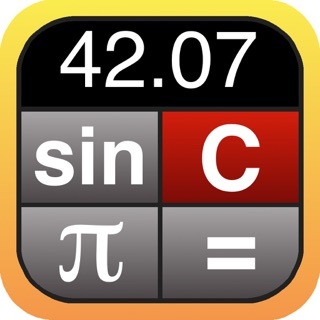 I have tried about 4 other calculators and like this one the best. I'd give 5 stars if the documentation gave an example how to use the "FORM" button. I have only just downloaded this app, so I haven't yet tried everything, but it appears to be a lot more than the simple calculator I was looking for. I don't know what else you could want in an everyday calculator. So far, so good. great app - amazing price! Thank you for a calculator that looks great, works well and is FREE! I really like the ability to see what calculations you are doing on the screen. I cannot see how anyone can complain about this calculator! 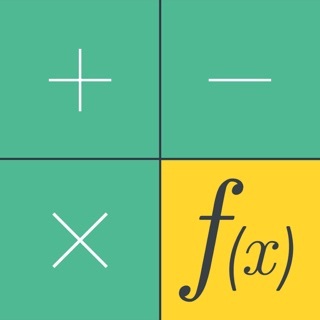 iFxCalc: A most human nature function calculator. Support customization of functions.